Ernest Foss was a musician who gave lessons out of his home when he lived in San Francisco, where an amplifier that ran the length of a wall served as the family's living room couch. Carl Wiley refurbished tires for Michelin. Jesus Fernandez, known as "Zeus," was described as a loving father and loyal friend. 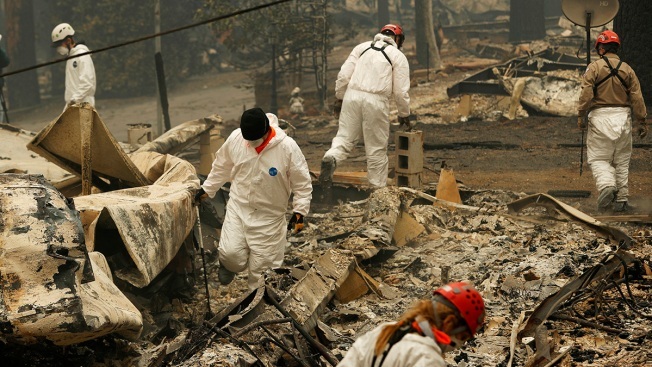 They were among the first victims identified in the aftermath of the deadliest, most destructive wildfire in California history, an inferno blamed for at least 48 deaths, with authorities ramping up the search Tuesday for still more souls. 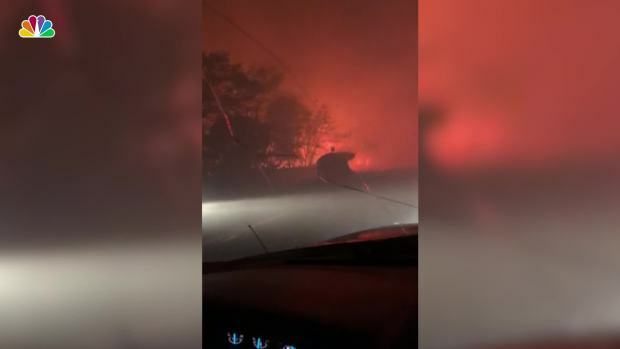 The flames all but obliterated the Northern California town of Paradise, population 27,000, and ravaged surrounding areas last Thursday. About 7,700 homes were destroyed. The exact number of missing was unclear, but many friends and relatives of those living in the fire zone said they hadn't heard from loved ones. Some went to shelters looking for the missing. Efforts were underway to bring in mobile morgues, cadaver dogs, a rapid DNA analysis system for identifying victims, and an additional 150 search-and-rescue personnel on top of 13 teams already looking for remains — a grim indication that the death toll would almost surely rise. Butte County Sheriff Kory Honea's office has identified four of the victims, publicly naming three. James Wiley said sheriff's deputies informed him that his father, Carl, was among the dead, but the younger Wiley hadn't been able to leave his property in the fire area to see for himself. The elder Wiley, 77, was a tire-recapper, and the family lived in Alaska for many years before moving to Butte County decades ago. James Wiley said his father was a stoic veteran, and the two had not spoken in six years. "Hey, I lost him a long time ago," the younger man said. Foss, 63, moved to Paradise eight years ago because the high cost of living pushed him out of the San Francisco Bay Area, according to his daughter, Angela Loo. He had swollen limbs and couldn't walk. He had also been on oxygen. Fernandez, a 48-year-old Concow resident, also died. Myrna Pascua, whose husband was best friends with the man known as "Zeus," called him a "tireless provider, a dependable and loyal friend, a considerate neighbor, and loving father. He will be sorely missed by all who knew him." Five days after the blaze, over 1,000 people were at more than a half-dozen shelters set up for evacuees. At the Neighborhood Church in Chico, counselors, chaplains and nursing students from California State University, Chico, were available to help. Volunteers cooked meals, and there was a large bulletin board with information about missing people. Eddie Lazarom, who fled Paradise on foot before getting a lift from a UPS truck, was among those staying at the church. He said he had yet to hear from his three grandchildren, ages 22, 24 and 28. "I am really worried about them. They have common sense, I'm sure, but I'd hate to find out later that they burned up," he said. Greg Gibson came to the shelter for information about his neighbors. He doesn't know if they tried to leave or not but says the fire exploded so quickly that if they hesitated, they would have had trouble. "It happened so fast. It would have been such an easy decision to stay, but it was the wrong choice," Gibson said. Still, experts said Tuesday that authorities may first try more traditional methods of identification such as examining dental records. That's in part because victims might have undergone dental X-rays but not personal DNA profiles. Medical records of bone fractures, prosthetics or implants can also be helpful. The flames roared to life again in a mountainous wilderness area Tuesday, sending up a huge plume of smoke near the community of Lake Sherwood. Still, firefighters made gains. The number of people evacuated was down by about half from the day before, to around 100,000, authorities said, and the fire was partially contained. "We're getting the upper hand here. We're feeling better," Los Angeles County Fire Chief Daryl Osby said. Gov. Jerry Brown said California is "pretty well maxed out" from fighting several deadly wildfires, and he expressed gratitude for help from surrounding states and the federal government. He said the state is doing everything possible to prevent fires, but "some things only God can do." The fire in Northern California charred at least 195 square miles (505 square kilometers), but officials said crews were able to keep it from advancing toward Oroville, a town of about 19,000 people. The state recently completed a $1.1 billion reconstruction project at the Oroville Dam — the nation's tallest at 770 feet (235 meters) — and officials worried about damage if flames came through. Spillways at the dam crumbled during heavy rains in 2017, prompting thousands to flee for fear of a catastrophic release of water. Contributing to this report were Associated Press writers Sudhin Thanawala, Janie Har, Jocelyn Gecker and Olga R. Rodriguez.